Everything you need to know about our cloud and telecommunication services, such as; VoIP, hosted PBX, UCaaS, cloud call centre etc. 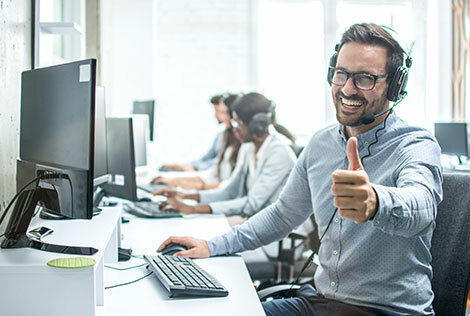 If you have a question about hosted PBX, cloud call centre, VoIP, SMS, broadband, SaaS, PaaS, IaaS, 1300 numbers, and much more, this is the page you’re likely to find it. If not, give our helpful and knowledgeable team a call between 9:00am and 5:00pm Monday to Friday (AustraliaN Eastern Standard Time). SaaS is an acronym for Software as a Service. For instance, the Smartcom hosted PBX is a SaaS phone system application that is accessed via the internet with a subscription price model – as against the traditional,and now dated model of installing PBX equipment onsite. Smartcom cloud is essentially a network of remote servers hosted in a secure data centre and access via the Internet; to store, manage, and process data, as against using onsite servers that require CapEx and IT staff to manage. By contrast, our cloud services use an Operating Expense (OpEx) model that is fully scalable. Smartcom collaboration is a cloud-based VoIP and video conference service that can be accessed by staff and clients alike from more or less any location via desktop and smart devices. Our collaboration services do just that, they enable businesses to collaborate across multiple business disciplines. What is a SoftPhone and when are they better to use than an IP Handset? SoftPhones are simply a software telephone that is installed on desktops to enable staff to can make calls via their computer. Rather than speak through a handset, staff plug a USB headset into their computer and thereafter speak through the headset. SoftPhones are best suited to operations using hosted PBX or cloud call centre technology with high volume calls. SoftPhones are also suited to live reception desks. SoftPhones are gaining popularity in the workplace as they take up less room than IP Handsets, and they’re also more cost-efficient. IP Handsets on the other hand are best suited for hosted PBX in office type environments. What’s the different between Unified, Multi & Omni Channel communications? Multi-Channel communications is essentially communicating and interacting with customers across various channels ie; Voice, SMS, Website and Email etc. Unified Communications (UC) takes it a step further, with the integration of enterprise communication services such as instant messaging (chat), voice (VoIP), mobility, audio, web, video etc. The sophistication of the Smartcom Omnichannel function is a paradigm shift from Multi-Channel and UC; in that it fully integrates multiple communication channels to deliver extraordinary Customer Experience (CX). The potency of OmniChannel Communications, is that enables businesses to communicate in the most relevant, timely and efficient means. Moreover, OmniChannel Communications caters for the increasing mobility of consumers; with the capacity to communicate across multiple channels ie; VoIP, SMS, Email, Voice Broadcasting, Web-Chat, SMS-Chat, Click-to-Call, IVR, Social Media, Websites etc. How can I effectively use SMS? SMS can be configured with Smartcom cloud functions such as; ACD & IVR, Dialler, Auto Attendant, Virtual Workforce and Virtual Salesforce. Configurations include; 1) Automated Notifications & Alerts 2) Batch Sends 3) Manual Sends 4) Interactive SMS and 5) SMS-Chat. Communicating via SMS enables message recipients to respond at their convenience by simply pushing a link in the SMS. What broadband connection do we need? Businesses can choose the most suitable, cost-effective business-grade broadband from Smartcom’s extensive range, including; NBN, Fibre, ADSL Internet, Ethernet Over Copper (EOC), Dark Fibre, IP VPN etc. Likewise, data packs are available as; 100Gb, 200Gb, 500Gb or unlimited usage. The Smartcom premium broadband service includes pre-configured Cisco CPE hardware to accommodate pro-active monitoring and alert notifications to assist business continuity and support services. What is VoIP & is broadband needed to use VoIP? VoIP is an acronym for Voice over Internet Protocol. In other words, phone calls are made via the Internet over a broadband connection – as against traditional analogue or ISDN lines. What’s the advantage of VoIP over ISDN? Smartcom VoIP delivers a level of operational flexibility, scalability capability and immediacy that is not possible with traditional ISDN or for that matter analogue technology. Smartcom VoIP differentiation includes; 1) Outbound fail-over capability; 2) Inbound fail-over capability; 3) Deployment of an unlimited number of lines (dependent on bandwidth capacity); 4) Rapid deployment of lines; as and when needed and; 5) Multi-site configuration. ISDN on the other hand is restricted to a maximum of 30 lines per connection, with deployment of connection taking extended periods. IaaS (Infrastructure as a Service) provides scalability and flexibility in the provision of automated computer resources. In contrast to onsite infrastructure, the cloud-based, managed service is in a secure data centre, and hence there is no need to hire a support team to manage IaaS. On the other hand, PaaS (Platform as a Service) provides IT developers with the flexibility to build and create customised applications on servers, storage, and networking managed by Smartcom in a secure data centre.